Painting [drawing} is concerned with all the ten attributes of sight; which are: Darkness, Light, Solidity and Colour, Form and Position, Distance and Propinquity, Motion and Rest. A lot of my studio drawing and painting classes cover portraits of animals and people, buildings, landscapes and the like. So we are often limited to using pictures to capture our subjects. While pictures are not the ideal, they are better than hiring a trainer to bring in a wild tiger (just kidding) or hoping the dog will stay still. Drawing and painting from photos are usually easier too. I say sometimes, because the lighting and distortions that photos bring can truly affect the outcome. Two-dimensional art refers to any artwork depicted on a flat surface, typically paintings, sketches, photographs or prints. 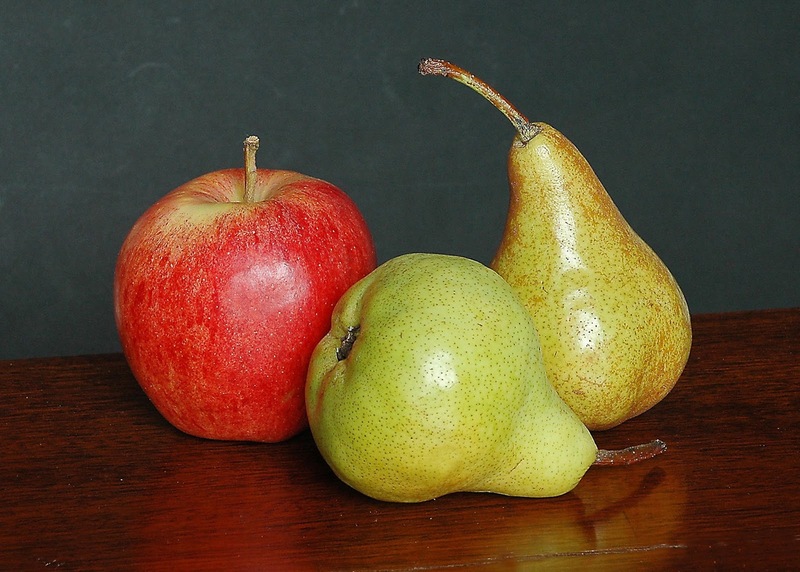 Conversely, a still life set-up, as it is called, is three-dimensional, which calls for a whole different approach. Yes, the shapes are the same, but now instead of transferring a 2D object to a 2D ground (sketchbook, paper, canvas), you are now creating a 2D work from a 3D object. Try it. Here’s a still life picture from Morguefile. Sketch the picture.Notice the colors, light and dark, highlights on the fruit, the color reflections on the table. What's nice is that you can click on this photo and get a larger size, giving you an even closer look at the fruit. Now try to do the same thing with three pieces of fruit at home. Sketch your set up as well. Again, notice the colors, lighting and so on. But more importantly, notice how the 3D effect is a bit harder to translate onto you page. It took me awhile to learn how to draw and paint from a still life set up. In fact, I took a sill life drawing class for over a year to get it down. My teacher, Renee Paudler, was excellent, always suggesting that I really hone in on the object before me. It takes a bit more concentration because nothing is stagnant. Although the fruit isn't going anywhere, the lighting will change, my head will move, my body will look for comfort in my seat. And as hard as this is to believe, all these things change your approach to a set up. What's more, you can't increase the size of your object so you can look for detail--yes, you can lean in, but then you have moved, changing your viewpoint. 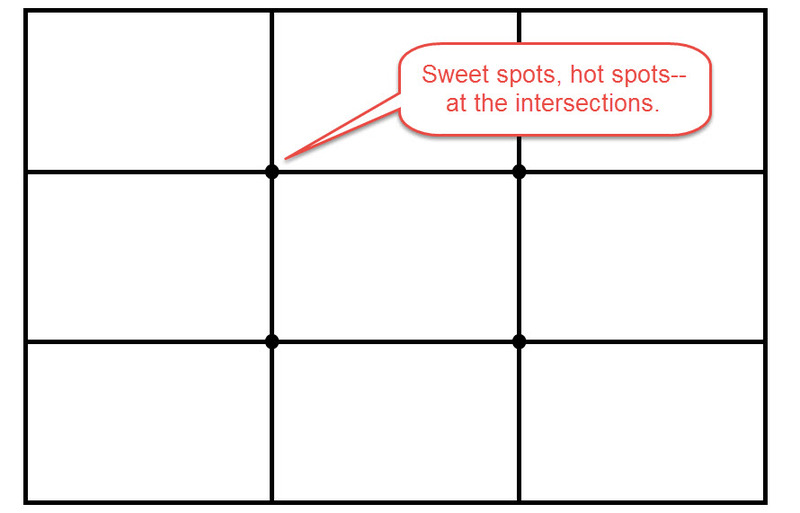 Then, add sweet spots (focal points) at each intersection. When done, you simply hold this grid up to the object to keep it in proportional "focus." This technique not only helps to keep things in proportion, but it helps you to decide how you want to present the material: vertically or horizontally. 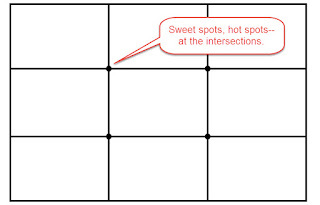 If you cannot create this grid, then creating a view finder is the next best thing. 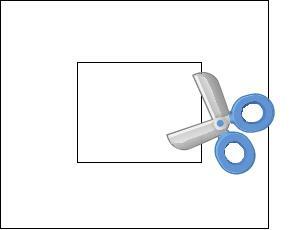 Simply take a small piece of paper and cut a small square or rectangle in the center. Then hold this up to your subject when drawing. This piece of paper will also help give you the borders you miss when not using a photograph. But really in the end, why bother when photos are so readily available? To be honest, I like to draw from both photos and still life.They both present their own challenges. But if I had to choose, I'd probably go for real l life because I enjoy "feeling" the object as I draw or paint it. I like to take my pencil (brush) and move it around the top of a cup to get the correct ellipse. 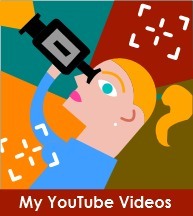 I like finding that circle, triangle or rectangle inside the object so I can bring it to life. Yes, you can do the same on a photo, but not as freely. Besides, you can actually see the shadow hugging along the apple; in a photo the shadow is flat. It sort of like holding a baby and seeing the photo of you doing the same. There is the fragrance, the essence, the touch and so on that you just can't experience with a photo. So when you’re at the bus stop and people keep moving, don’t think about that as a bad thing! Just draw them. If they move, oh well, start drawing someone else who isn’t moving. You’ll have pages and pages of starts and weird little doodles that don’t look like much, but you’ll be getting better at seeing, and reacting quickly with your pencil, and at being efficient with your lines. Then eventually you’ll find someone who holds still for 5 minutes and it will feel like you have forever to draw them; you will make the best 5 minute drawing you have ever made in your life! I've done exactly what this reader has stated and you DO get better. As with all things, practice, practice, practice! Room still available for the English Sketching Holiday. Check out the website today for more information! 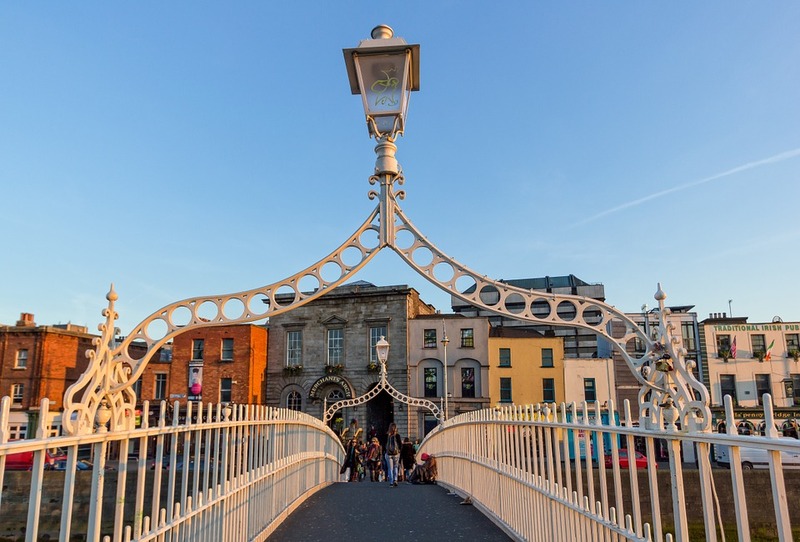 Register now to secure your place! Only four more placements available. Four weeks. Limited to six students per class. Please note: Limited space per class. Payment reserves your seat. The Saturday workshops at PCC are usually held at the Sylvania campus from 10 a.m. to 4 p.m. Please contact PCC for details: call 971-722-6266 or visit their website at:www.pcc.edu/community.